Director of the Urology Residency Program, and an employee of University Urology, PC. 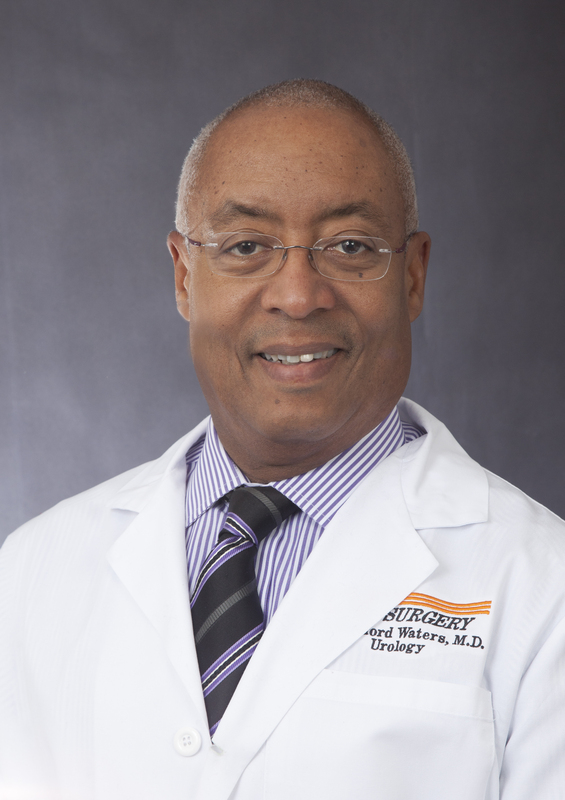 W. Bedford Waters, MD is Professor and Chairman, Department of Urology at the University of Tennessee Medical Center, Knoxville, Director of the Urology Residency Program, and an employee of University Urology, PC. He received an undergraduate degree in chemistry/pre-medical from Vanderbilt University in Nashville, Tennessee, 1970, and a medical degree from that same institution in 1974, the second African-American to graduate from Vanderbilt Medical School. He completed his internship and one-year residency in general surgery at the University of California, San Diego 1974-1976, followed by urologic training at the Harvard Program in Urology (Longwood Area) in Boston, Massachusetts 1976-1980. After residency, Dr. Waters became an Assistant Professor of Surgery (Urology) at the University of Illinois in Chicago. One year later, he joined the faculty at Loyola University Chicago, Stritch School of Medicine, where he remained for twenty years. He joined the staff at The University of Tennessee Medical Center in 2001, where is Professor and Chairman, Department of Urology and Program Director. Dr. Waters has trained 66 residents in his academic career. Dr. 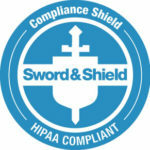 Waters has authored over 75 peer-reviewed manuscripts, 18 book chapters, and given over 180 presentations at local, national, and international meetings. He received the Excellence in Teaching Award June 2016 from the University Of Tennessee Graduate School Of Medicine. Dr. Waters has extensive experience in the treatment of urologic cancers, focusing on renal cancer, testis cancer, bladder cancer and urinary diversion. He has served as a leader of many regional and national organizations: Society of Urologic Oncology, Urology Section National Medical Association, Chicago Urological Society, Illinois Urological Society, Society of University Urologists, and The American College of Surgeons. Dr. Waters is involved in the local chapter of the American Cancer Society, and was member of the Mid-South Division Board of Directors 2009-2012. He was a 2017 Hope Gala Honoree, American Cancer Society November 10, 2017. He has been active in promoting early prostate cancer detection in the African-American community. He has served as a member of the Examination Committee of The American Board of Urology, Inc. (1995-1999). He is a Trustee Emeritus of the American Board of Urology, Inc, serving as President 2008-2009, Secretary-Treasurer, Chairman of the Executive Committee, Chairman of the Finance Committee, Chairman of the Recertification Committee, and Representative to the American College of Surgeons while serving on the American Board of Urology from 2003-2009. Dr. Waters finished a three-year term (2009-2012) as Chairman of the Maintenance of Certification Committee of the American Board of Urology. Dr. Waters was elected an active member of the prestigious American Association of Genitourinary Surgeons in 2008 (the first African-American to be elected to this society). He was selected a Fellow at the April 2013 meeting. He was selected a physician member to the University Health Systems, Inc. Board of Directors July 2015-2018, 2018-2021. He is President Vanderbilt Medical Alumni Association Board of Directors 2018-2020. He was recognized as An Unrepresented Minority in Medicine by Vanderbilt Medical School on Dec 17, 2019 with a portrait unveiling ceremony. He is the recipient of the 2019 American Urological Association Life-Time Achievement Award which will be presented on May 6, 2019 at the AUA Annual Meeting in Chicago, IL. 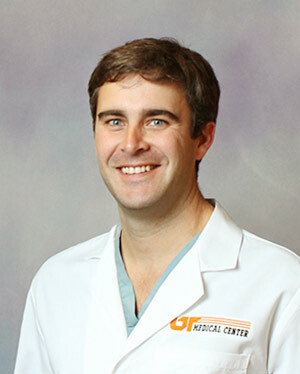 Dr. White is a native of Knoxville and attended the University of Tennessee. After graduating from UT in 1999 in the College Scholars Program, he attended medical school at the University of Tennessee College of Medicine in Memphis where he graduated in 2003 with Highest Honors. 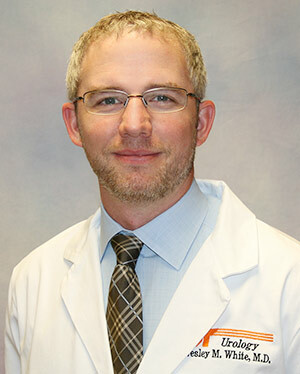 Dr. White returned to the University of Tennessee Medical Center where he completed his internship in general surgery and his residency in urology from 2003-2008. He subsequently completed a fellowship in Advanced Laparoscopic and Robotic Urologic Surgery at the Cleveland Clinic in Cleveland, Ohio (2008-2009). 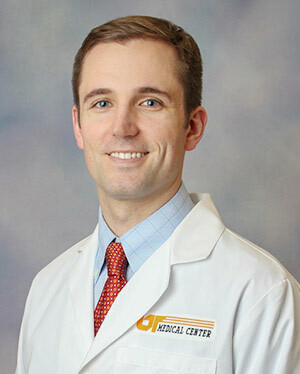 Dr. White joined University Urology in 2009. He currently serves as the Director of Laparoscopic and Robotic Urologic Surgery at the University of Tennessee Medical Center, Knoxville as well as Associate Program Director of the urology residency program. Dr. White’s primary clinical interests include minimally invasive urologic oncology, specifically prostate cancer and kidney cancer. Dr. White has one of the largest experiences in the nation performing laparoscopic and robotic surgery for kidney cancer (robotic partial nephrectomy). He is a recognized international expert on the subject, having been invited to lecture and perform live surgery in Japan, China, and Italy, among other locations. He is a frequent invited lecturer and visiting professor on the subject of robotic surgery and has served as faculty at multiple teaching courses. Dr. White has authored over 75 original research articles and has written numerous textbook chapters on the subject of robotics and other subjects and sits on the Editorial Board of UROLOGY as Deputy Editor of the Section of Laparoscopy and Robotics. Dr. White is a member of the American Urological Association and the Society of Urologic Oncology. He is married to Dr. Nikki Zite and has two sons, Jackson and Grayson. Dr. Pickens was born and raised in Murray, Kentucky. 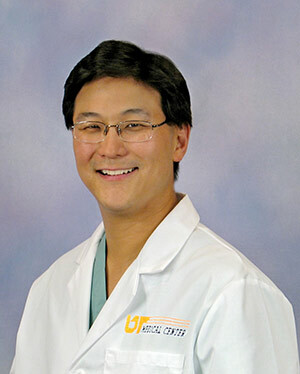 He received his medical degree from the University of Louisville College of Medicine. He completed his internship in general surgery and urologic training at the University of Tennessee Medical Center in Knoxville, Tennessee. He then completed a two-year urologic fellowship in Endourology and Minimally Invasive Surgery at Vanderbilt University Medical Center in Nashville, Tennessee. Dr. Pickens is also trained in minimally invasive surgery (laparoscopic and robotic) for the treatment of benign and malignant urologic diseases. He performs robotic pyeloplasties for UPJ obstruction as well as robotic ureteral reimplants and Boari Flaps for ureteral stricture disease. He is very involved with the University of Tennessee Transplant Program and performs laparoscopic nephrectomies for those wishing to donate their kidney. Dr. Pickens’ main interests are in the surgical and medical management of kidney stone disease and BPH. Dr. Pickens performs the region's largest number of PCNLs for large kidney stones and a national leader in the newest procedure mini PCNL for medium to large kidney stones. For large prostates he performs Holmium Laser Enucleation of the Prostate (HoLEP) and Robotic Simple Prostatectomy. He is also trained in minimally invasive surgery (laparoscopic and robotic) for the treatment of benign and malignant urologic diseases. Dr. Bienvenu was born and raised in Lafayette, Louisiana. After receiving his bachelor's degree in Neuroscience at Tulane University in New Orleans, Louisiana, he attended medical school at Louisiana State University Health Science Center in Shreveport, Louisiana. He then completed his general surgery internship and residency training in urology at the University of Tennessee Medical Center in Knoxville, Tennessee. He subsequently completed a fellowship in Robotics and Urologic Oncology at Hartford Hospital in Hartford, Connecticut. Dr. Bienvenu's main interest include the diagnosis and treatment of all types of urologic malignancies. His is trained in both open and minimally invasive surgical techniques, and has trained extensively on the da Vinci® Surgical System in the treatment of kidney, bladder, prostate, and adrenal cancers. He is an active member of the American Urological Association. 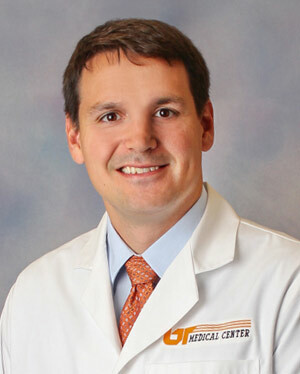 He is an avid outdoorsman and resides in Knoxville with his wife, Danielle, a physical therapist, and their daughter. John M. Lacy, M.D. - Dr. Lacy was raised in Clarkesville, Georgia and received his undergraduate degree from Wake Forest University. He received his medical degree from the Medical University of South Carolina in Charleston, South Carolina. He subsequently completed his surgical internship and urology residency at the University of Kentucky in Lexington, Kentucky. Following residency, he took a clinical fellowship position in Male Genitourinary Reconstruction and Prosthetics at the Cleveland Clinic in Cleveland, Ohio, before joining University Urology. He is Board Certified by the American Board of Urology and is the past Chair of the American Urological Association Residents and Fellows Committee. Ms. Amber Wieniewitz, FNP-BC, received her Bachelor of Science Degree in Secondary Education with an emphasis in Chemistry from Louisiana State University in 2003. Her teaching certification included Science and Math and she taught 7th grade in South Louisiana. In 2005, she relocated to Knoxville and received her Bachelor of Science Degree in Nursing from South College in 2010. Amber earned the Most Outstanding Nursing Student Award. 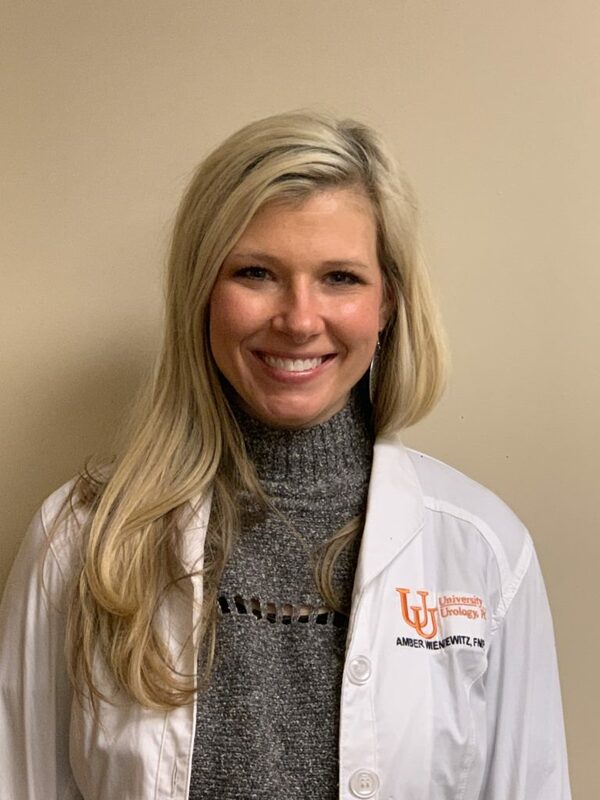 In an effort to further serve the needs of the community, she continued her education at the University of Tennessee in Knoxville where she obtained her Master of Science Degree in Nursing in 2012 with an emphasis in Family Medicine. Amber maintains both state RN and APRN licenses and is Board Certified by the American Association of Nurse Practitioners (AANP). From 2012 until 2018, Amber practiced in Sevier, Knox, and Anderson counties providing urgent and primary care. Most recently she practiced at UT Family Physicians Clinton. Having joined University Urology in 2018, Amber aims to promote urologic health while taking into consideration the care of the whole patient. Amber resides in Knoxville with her three children and enjoys a good novel, traveling to new places, trying different foods, and being active outdoors.